You can easily Root Kindle Fire Amazon Tablet. Thanks to the Android community of developers and enthusiasts, the Amazon Kindle Fire can be rooted. The rooting process for the Kindle Fire 7 involves some command line typing, but it’s not complicated. If you have ever tried installing a printer for your desktop, then it’s similar. Read on to root Kindle Fire HD 8. • A PC running Windows 7 or above. • USB cable for connecting your tablet to your PC. • Amazon Kindle Fire Charged at-least 50%. Also there are options to Root Kindle fire without computer in less then 5 minutes. Step 1: Install the Android SDK into your PC. The details about how to install the software development kit will not be discussed here because it’s a totally different subject on its own. Step 2: You now have to turn on “Allow Installation of Applications From Unknown Sources”. This can be done by tapping the Settings icon at the top right corner. Then, go to More->Device. You can turn on the setting from there. Step 3: Connect the Kindle Fire to your PC using the micro USB to USB cable. If the connect screen comes up on the screen of the Kindle Fire, please do not tap on connect for this will enable USB connection. 1. Go to the folder where the SDK is installed. 3. Right click on android_winusb.inf and choose “Open with” then select Notepad. 4. Look for [Google.NTx86] and [Google.NTamd64] in the text that you just opened. Step 5: Create adb_usb.ini and save it into the .android folder. 5. Open the user login name folder you are using. 6. Copy and paste adb_usb.ini into the .android folder which you will see under the login name folder. Step 6: Update the USB driver for the Kindle Fire. 1. Open Device Manager from the Control Panel window. 2. Look for Kindle under Other Devices. 3. Right click Kindle and select “Update Driver Software”. 4. Select “Browse my computer for driver software”. 5. We now have to browse for the USB driver file we edited earlier, which should be located under Android SDK folder->Extras->Google. 6. After choosing the directory, just click Next and a prompt saying “Windows can’t verify the publisher of this driver software” will show up. Click “Install this driver software anyway”. Step 7: Check if Android SDK will now recognize the Kindle Fire. 1. Open up a command prompt window. 2. 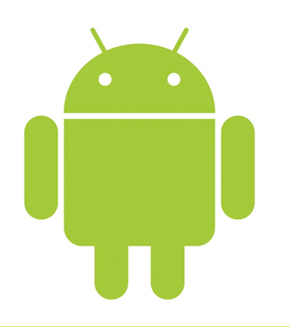 Go to the folder were the Android SDK is installed using the cd command. 3. From the Android SDK folder, access the platform-tools folder by still using the cd command. 4. Under the platform-tools folder, issue the adb kill-server command. 5. Next you have to issue the adb devices command. This will give you text similar to the one below. This will indicate that the SDK recognizes the Kindle Fire. Step 8: The last part of the process is to root the device. Since we already downloaded the software from Shortfuse, we just have to extract it. After extracting the software, you just have to run it and it will automatically work like a charm. Third-party apps can now be installed on the Kindle Fire.